A modern, elegant candlestick design, these twisted aluminum candle holders are classy and stylish Judaica art and bring light and spark to the home. 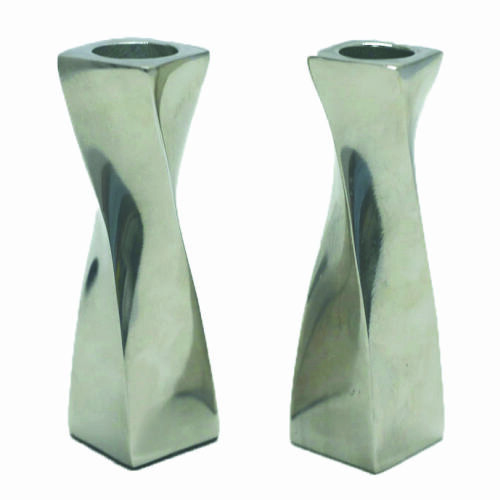 These elegant 11cm aluminum candle sticks are gorgeous for lighting Shabbat candlesticks on Friday nights or holidays. With a sleek, elegant look sand a twist in the middle, they are shiny and silver colored but conveniently made of a metal that's less effort to keep up and costs less. Good for gifting, they spruce up the home and make it look like Shabbat.